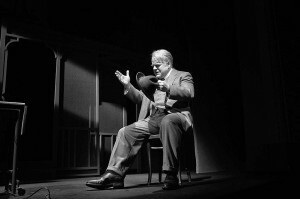 “Salesman” is a truly sad story about a working man turned 60. No longer appreciated. Men and women cried when they saw Miller’s play. They couldn’t get up from their seats, the play had such an effect. Miller was talking about the revival of “Salesman.” Miller sounded like the rebuffed son, Biff, in “Salesman.” Of course, it made sense, the voice of his characters mimicking their author. It’s an old story told well – the worker under siege. An early line of Salesman is, “It’s all right. I came back.” Willy was talking about how, though a salesman, he couldn’t drive past Yonkers, he was day-dreaming, and how many hours, too many hours, it took him, at ten miles an hour, to drive home. The implication was clear. Willy Loman couldn’t work anymore. He couldn’t go on. That’s the end result of what we’re doing to the Middle Class, and not just salesmen, we are pushing many to a point where they can’t go on. This is the middle class that our elected representatives pledged so earnestly they would “save” –while imperiling them instead. Willy’s declining powers and lost opportunities as a once engaging salesman, now 60, force him to confront his changed circumstance. Willy is in denial at his change of fortune. He lives amidst the ashes of past successes. Willy was once an explorer of trade throughout New England, “the New England Man.” Now the elusive American success story leaves a bitter taste. What fiction moves us does so because it’s what we know from life – the mistakes, the failure, the regret, the walls closing in. 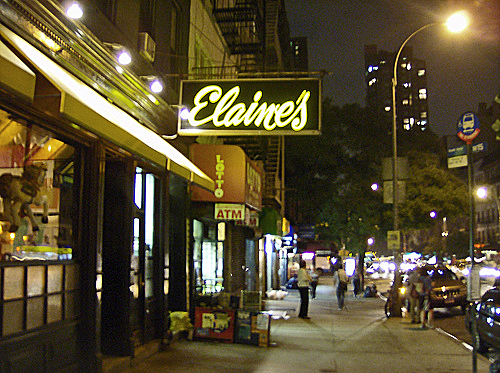 When I left Elaine’s in the quiet early morning and was walking across 86th Street toward the East River, I thought about how working men and women are used. I thought about those I knew from the Bronx where I was born – but every other place as well – and how Miller nailed the sadness of our American fantasy that we care about the middle class, and maybe that we care at all about anyone else. In recent days, we see a renewed indifference, and with so much more force, how we are not helping the middle class, how we are turning on them with a vengeance – and, like Miller said, that’s immoral.